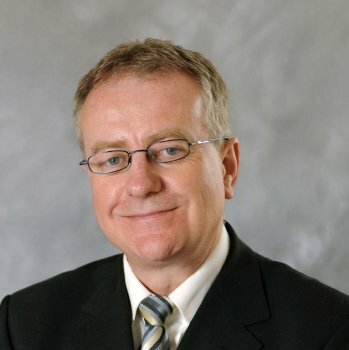 A brave and radical new approach and greater government leadership are needed to tackle the present housing crisis, according to University of Ulster Professor of Housing and current President of the Chartered Institute of Housing, Professor Paddy Gray. Addressing the CIH Presidential Dinner in London, Professor Gray (pictured above) - who flagged up the current housing crises in advance of the property development slump in 2008 - said he simply could not understand how, in the 21st century and in an advanced western democracy, there is not enough affordable housing for people in need. “Across the UK, millions of people are on housing waiting lists or housed in temporary, overcrowded or unfit properties yet there are nearly a million houses lying empty. “We need more government leadership now more than ever before if we are to create thriving communities and support aspiration across the UK,” says Professor Gray, who is based at the Magee campus of the University of Ulster. The draft budget currently being debated by MLAs at Stormont signals a 30% reduction in the Northern Ireland social housing budget over the next four years. Professor Gray says this proposed cut will lead to a significant reduction in the number of new houses being built. “In reality that means that around 1000 homes will be built each year from 2011 to 2015 and that is despite the Housing Executive estimating that we need 2,500 new homes per year which will create a shortfall of around 6,000 dwellings. Ulster’s housing expert stated that a well-functioning housing market was fundamental to economic success and said the housing crises could have a long term impact on society. “Current house prices require a mortgage of up to ten times your salary – that is, if you can get a mortgage at all. We waste millions of NHS pounds fixing broken hips for the price of a stair lift; we limit the educational aspirations of our children by giving them nowhere to do their homework; we have an approach to planning that seems intent on stopping the homes that communities need. “What really worries me is that we are at risk of abandoning people to, at best, an uncertain and, at worst, a chaotic, unsafe and unhealthy housing future and that somehow we see this as ‘the price worth paying for tackling our financial deficit’. “If we can’t make the case for housing investment on the basis of more time in temporary accommodation for vulnerable or growing numbers of homeless people, then we need to make it on the basis of promoting economic growth and tackling unemployment. We knew during the industrial revolution, in exactly the same way that countries in the fast developing world know today, that we simply can’t deliver a thriving workforce if people don’t have anywhere decent – or just anywhere – to live. Paying tribute to the CIH for its holistic approach to tackling problems in the housing sector, Professor Gray said the crisis went beyond the confines of the housing sector. “I’m convinced that we’ve already done much of the necessary thinking around how to tackle these issues but solving the crisis will take brave and radical action.